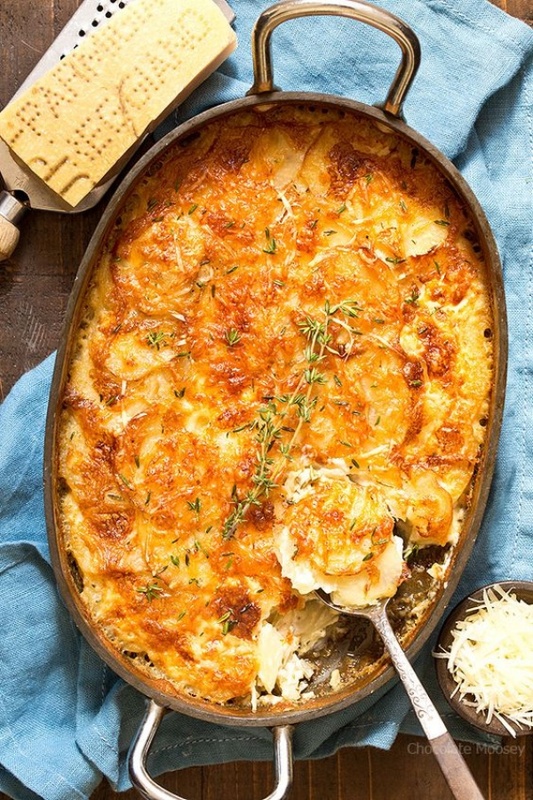 Garlic Parmesan Au Gratin Potatoes By Carla from Homemade In The Kitchen. Plenty of cheesy goodness in Garlic Parmesan Au Gratin Potatoes with layers of thinly sliced potatoes, Parmesan cheese, and garlic. Serve it as a holiday side dish or alongside meat and potatoes for dinner.